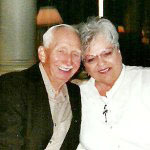 Charles (Charlie) E. Salyers, 83, of 742 Creekside Drive, Hot Springs, Virginia, went to be with the Lord on Sunday, July 28, 2013 at the Golden Living Center in Clifton Forge, Virginia. He was born August 3, 1929 in Hot Springs, the son of the late John Hobert Salyers and Helen Athens Salyers. He was married to Joyce S. Salyers. Mr. Salyers was a self-employed tile mechanic. He was a member of Lifeline Ministries; he was an avid outdoorsman, who enjoyed fishing and hunting; and was a loving husband, father, grandfather and uncle. He is survived by his wife, Joyce of Hot Springs; a son, Eric Salyers and wife, Amber of Norfolk, Virginia; two grandchildren, Anthony Holland and Erica Salyers, both of Norfolk; a brother, Jerry K. Salyers and wife, Lorraine of Norfolk; and numerous nieces and nephews. He was preceded in death by a brother, James "Jimmy" Salyers; and a sister, Nancy Salyers. A funeral service was conducted at 12:00 noon, Saturday, August 3, 2013 at Lifeline Ministries with Reverend Frankie Neff officiating. The McLaughlin and Young Funeral Home, Hot Spring handled the arrangements.